This baby bib is a necessity when your little one starts eating solids. Whether you’re spoonfeeding purees or letting baby dive right in, it’s going to get messy! 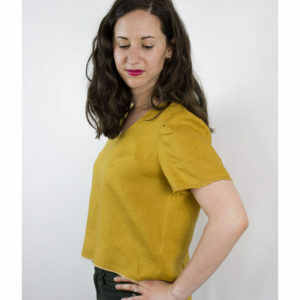 This clever design is quick to cut and sew. It covers the shoulders and sides of your baby and stays well in place. 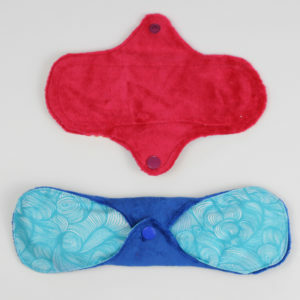 It can be sewn from a single layer of fabric or two layers for extra style and protection. 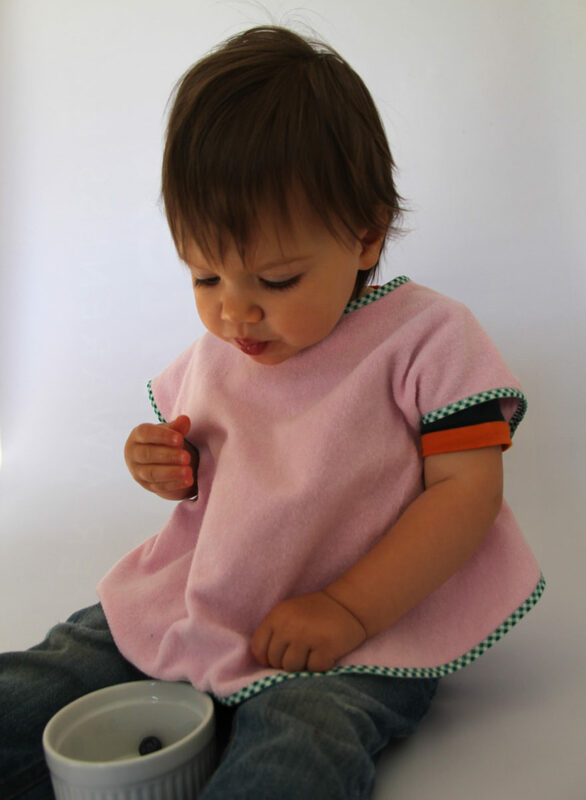 Four bibs can be sewn from 1 yard or meter of absorbent fabric like terrycloth or waterproof fabric like PUL. 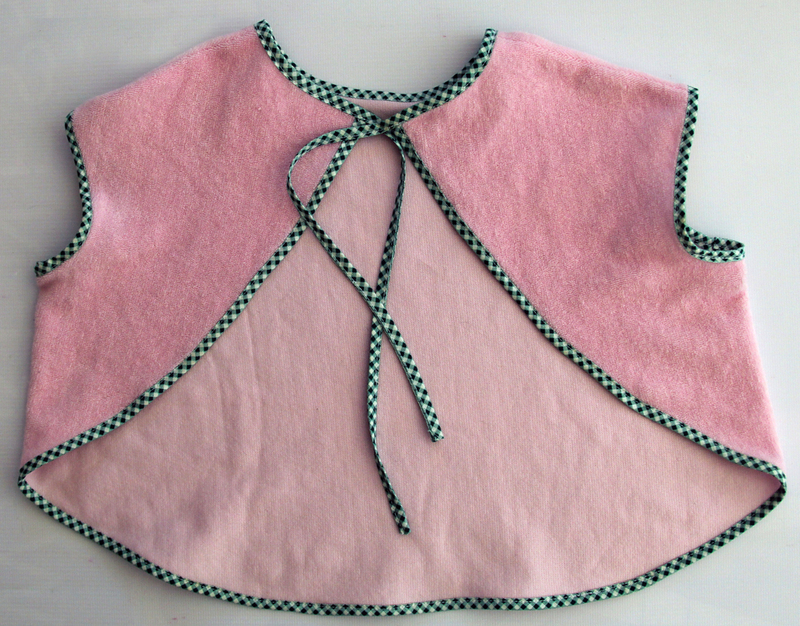 You can also sew the bib with two layers of fabric held wrong sides together to make the bib reversible. The edges are finished with bias tape. Available in 3 sizes – Small (3-9 months), Medium (9-12 months), and Large (12-18 months) – to cover many ages and stages of mess! 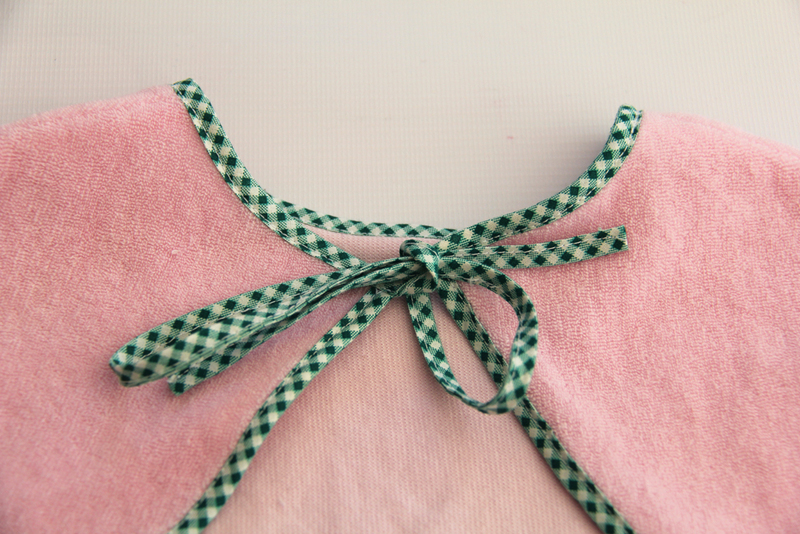 Sign up for the MaternitySewing newsletter to receive a free copy of the bib pattern!